전라도를 방어하는데 중요한 곳으로 노령산맥에 이어져 전라북도 정읍과 경계를 이루고 있는 산성이다. 높이 626ｍ인 입암산의 계곡 능선을 따라 만든 포곡식 산성으로 약 3.2㎞정도 남아 있다. 입암산성은 많은 고문헌에 기록이 남아 있으나 초축에 대하여는 확인할 수 있는 기록은 없고, 산성에 대한 최초 기록은 '고려사'와 '고려사절요'에서 확인되는데, 1256년(고종 43)에 송군비장군이 몽고군과의 전투에서 승리한 내용이 수록되어 있어 고려시대 이전부터 성이 있었던 것으로 짐작된다. 조선시대 태종 9년(1409)에 고쳐 쌓고 훗날 이귀와 이귀형이 성의 폭을 넓히고 낮은 곳을 높이 쌓았다. 현재 남문과 북문은 옛 모습 그대로 남아있다. 성벽은 수직에 가까우며 물을 막아 충분한 양의 물을 준비해 오랜 시간 성을 지킬 수 있도록 한, 조선 후기 방어시설의 대표적인 유적으로 평가되고 있다. 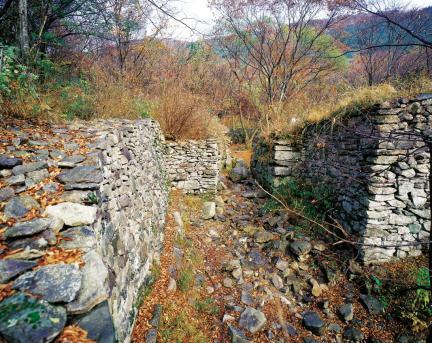 Ibamsanseong, a fortress on Ibamsan Mountain, was located at a critical geographical position for defending Jeolla-do where the Noryeongsan Mountain Range meets Jeongeup in Jeollabuk-do. 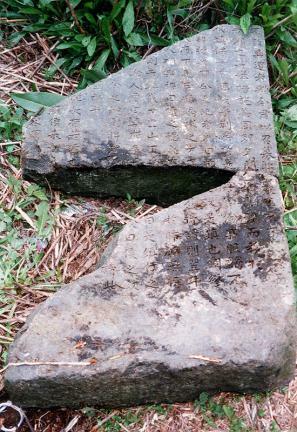 It is a fortress built along the ridgeline of rocky Ibamsan Mountain, rising 626m above sea level. 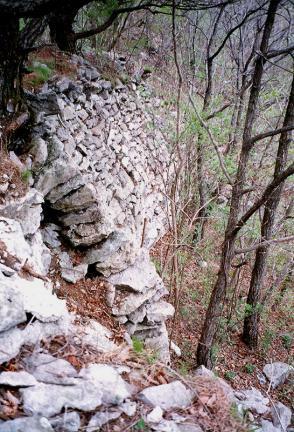 It is a valley encircling-type fortress, with about 3.2km long wall sections remaining. 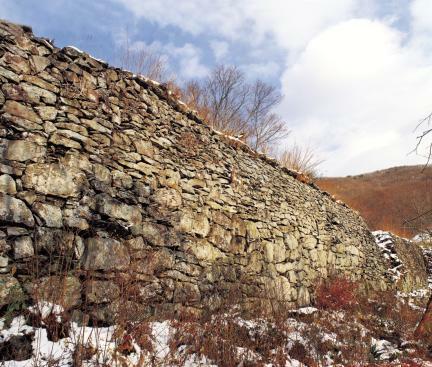 We do not know the wall’s exact date of construction, but we can assume, based on several existing records, that it was built before the Goryeo Dynasty. 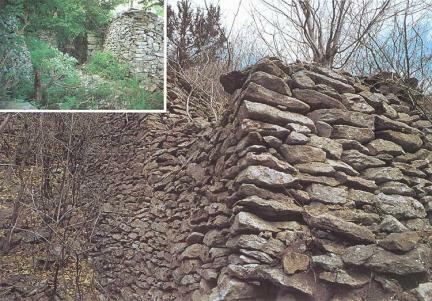 The fortress’ northern and southern gates have preserved their original appearance. It was rebuilt in 1409, the 9th year of the reign of King Taejong of the Joseon Dynasty. 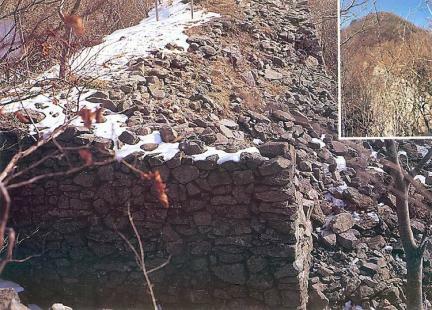 Yi Gwi and Yi Gwi-hyeong widened and raised the wall later. 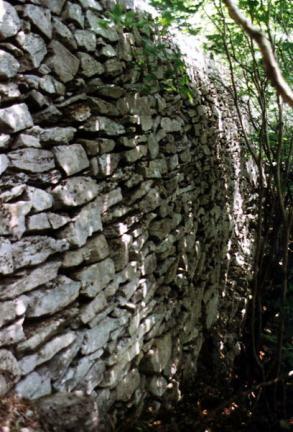 The building process and overall structure of the wall are unique because it has a nearly vertical wall, with the bank around the wall used to build a reservoir to prepare for any conceivable long-term defensive battle. 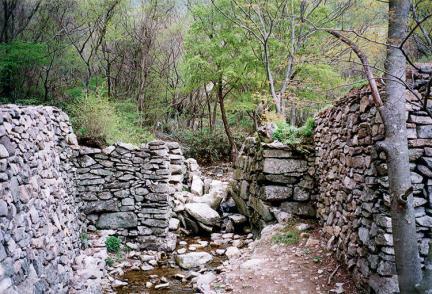 It is regarded as the representative defensive military facility in the late Joseon Dynasty.